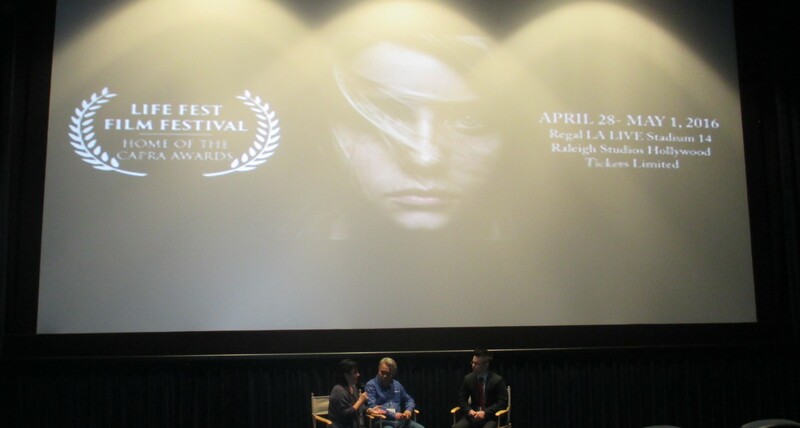 It was fantastic to see ANCA Naturally Autistic in L.A. today on the ‘Big Screen.’ In the midst of a turbulent year the Life Fest Film Fest chose to screen the fantastic and wonderfully calming 60 minute documentary “Connected: A Film About Autistic People” directed by Sonia Suvagau, executive produced by Charlie and Leonora Collura the founders of ANCA. 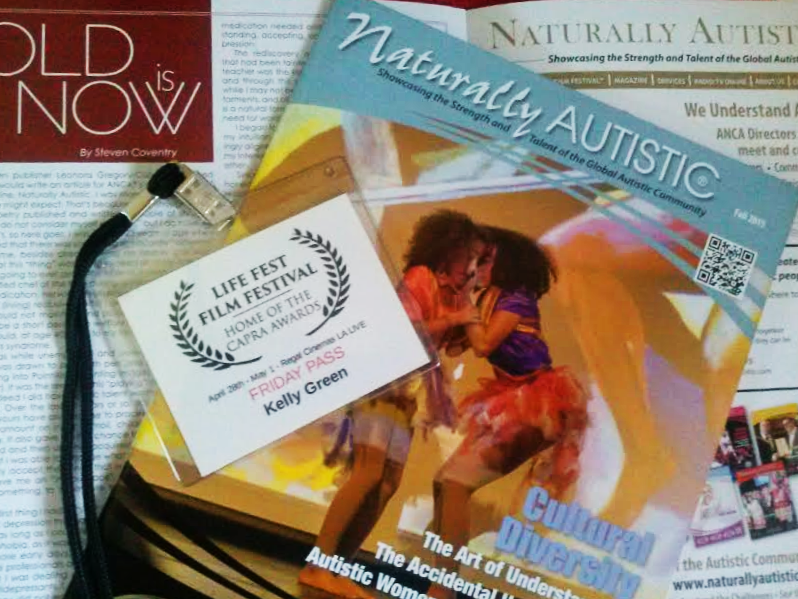 The film follows friends and participants at the 5th Annual INAP International Naturally Autistic People Awards and World Autism Festival held in Edinburgh, Scotland in 2014. The connections so clearly seen in the film jump off of the screen right into your heart. The exchange of Autistic energy is a very high vibration and it shines through with brilliant force and enlightenment in the films entirety. The interaction amongst Autistic friends and family members is something tangible that is very hard to describe. Yet once you have experienced it you won’t soon forget the feelings evoked. One such film festival goer had to tell those of us watching with Leonora and Charlie that he felt “energized” by viewing the film. I just had to giggle because I know full well of what he speaks. It’s undeniable and it is a HIGH. A high vibration of acceptance that filters out the ‘human ideals’ we have all been forced to assimilate into. Ideals that do not always go hand and hand with our innate humanity and our individual systemology. Seeing so many honest and lighthearted Autistic moments seemed to transport me back in time to the 2nd Annual INAP Awards Festival of 2011 that AutismHWY attended in Vancouver, Canada. People from around the globe working from the heart to create support systems for creative expression and complete connection. It’s what ANCA has naturally done for 22 years and seeing those energetic results on film was truly magnetic. Exactly the energy felt four years ago when life changing connections were made over that year’s 3-day event. The empowered Autistic children and adults that participate in this annual event are sharing their dreams with the world so the world will share their dreams. AutismHWY firmly believes in the power of Autistic people and this film is just proof that seeing IS believing! 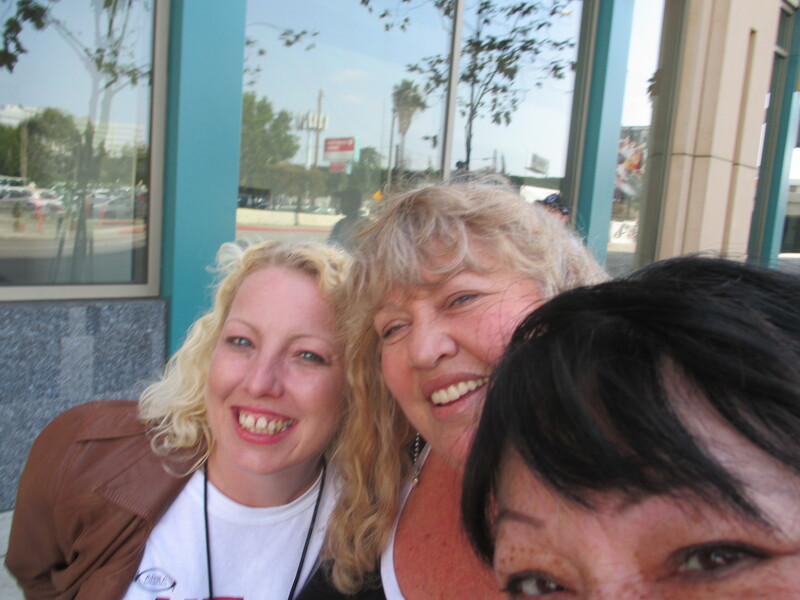 April Dawn Griffin, Kelly Green and Leonora Gregory Collura….CONNECTING! Next Topic: Touchy, Touchy, TOUCHY!